The activities of the French officials killed in this morning’s plane crash in Malta still remain a mystery although there is increasing belief that they were members of French intelligence rather than customs officers as Maltese authorities have stated. 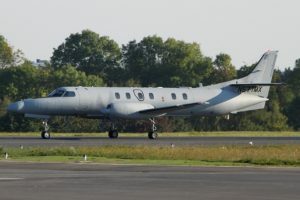 Initially, Maltese aviation sources said that the plane was heading to Misrata while local officials said that those on board were working for French customs officials investigating illegal trafficking. However, the destination was then contradicted in a tweet by Maltese Prime Minister Joseph Muscat who said that the flight was registered as local, “coming back to Malta without landing in any third country”. Meanwhile, according to both Reuters and AFP, French Defence Minister Jean-Yves Le Drian has admitted that the aircraft was hired by his ministry, saying that it was carrying out surveillance operations in the Mediterranean. It quickly became evident, though, that French officials dealing with the crash did not want to talk about it. Repeated attempts today by the Libya Herald to contact them in Paris drew a blank. Sources in Malta now say that three of the dead were intelligence operatives. “They were with DGSE,” one Maltese lawyer well versed in Libyan affairs told this newspaper. DGSE is French intelligence. It is seen as having its own agenda in Libya. Unlike the French Foreign Ministry whose programme is to support the Presidency Council, DGSE is seen as being focussed on eliminating the so-called Islamic State, and will work with anyone it thinks can achieve this. In July, three DGSE operatives died in Benghazi when their helicopter crashed. There are suggestions that the plane which crashed today and which had already been operating out of Malta was involved in Libyan signals interception.